041, originally uploaded by hal(var). 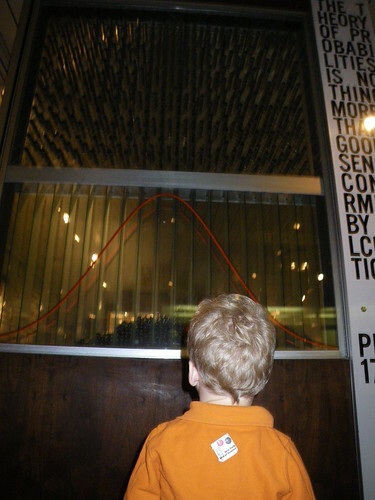 I took Bertram and Vivian to the Queens Museum of Science, it was thrilling. 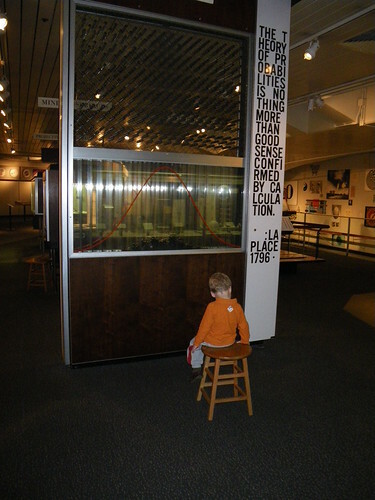 Possibly Bertram's favorite thing in the museum was the balls falling through a series of pegs into slots that showed the "normal curve" Both visits he insisted on just sitting and watching it for a long time. 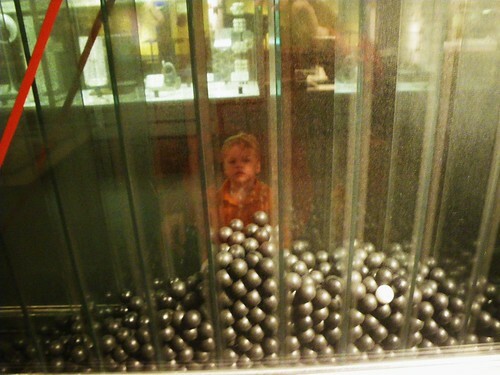 037, originally uploaded by hal(var). Plenty of time to take pictures of Bert, and his interest also gave me a chance to change and feed Vivian and give her some attention. 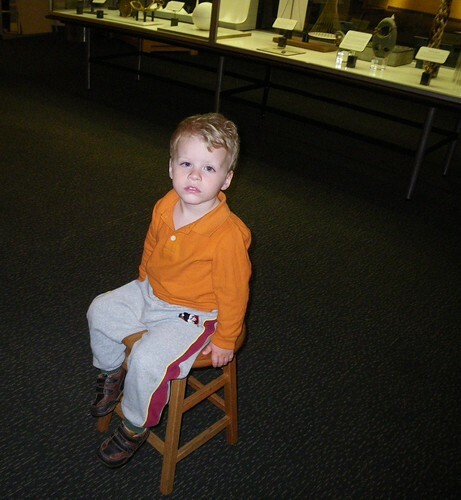 ... why yes she did come to the museum with us, but didn't interact with the exhibits much, and when she was out of the stroller or sling was not a time when I had hands to pull out a camera. She was however very entertained all day, mostly by watching Bertram run around like a mad man.